Road Runner Girl: Zensah Compression Socks Review and GIVEAWAY! 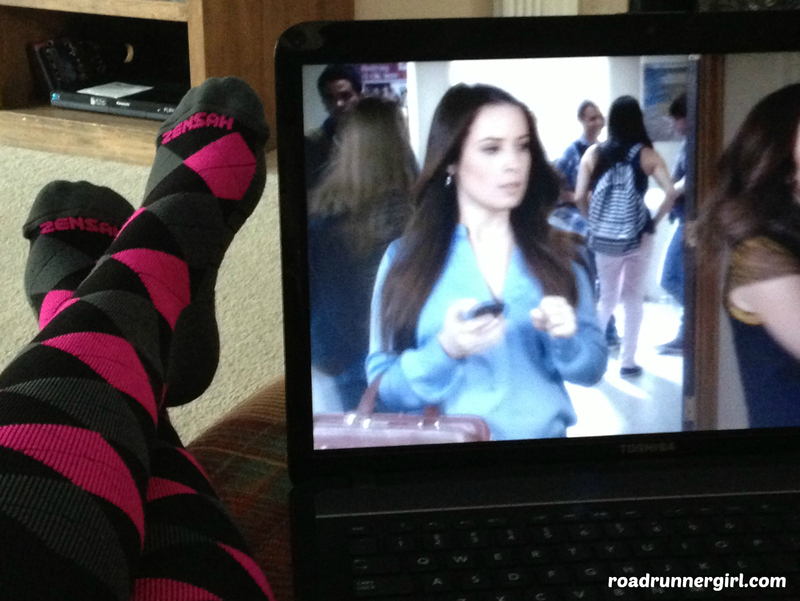 Disclaimer: I won this pair of Zensah Compression Socks. I received no other compensation. All opinions in the post below are mine and mine alone! A few months ago I was the lucky winner of a pair of Zensah Argyle Compression Socks from Karen at Just Me and My Running Shoes! When they came I immediately tore open the package and put them on! Aaahhh! They felt so awesome! I love compression socks but these were the most comfy ones I had ever put on! A lot of times the band at the top of compression socks hurts me but these didn't do that. They were also so soft and felt very sturdy. A few days later we left to go on vacation to Disney World. I was doing the run streak at the time and my legs were super tired and I even had a few shin splints coming on. I grabbed these compression socks last minute as we were heading out the door and wore them the entire 8 hour drive to Disney. Guess what? No more shin splints! I couldn't believe it! These socks were like magic!!! 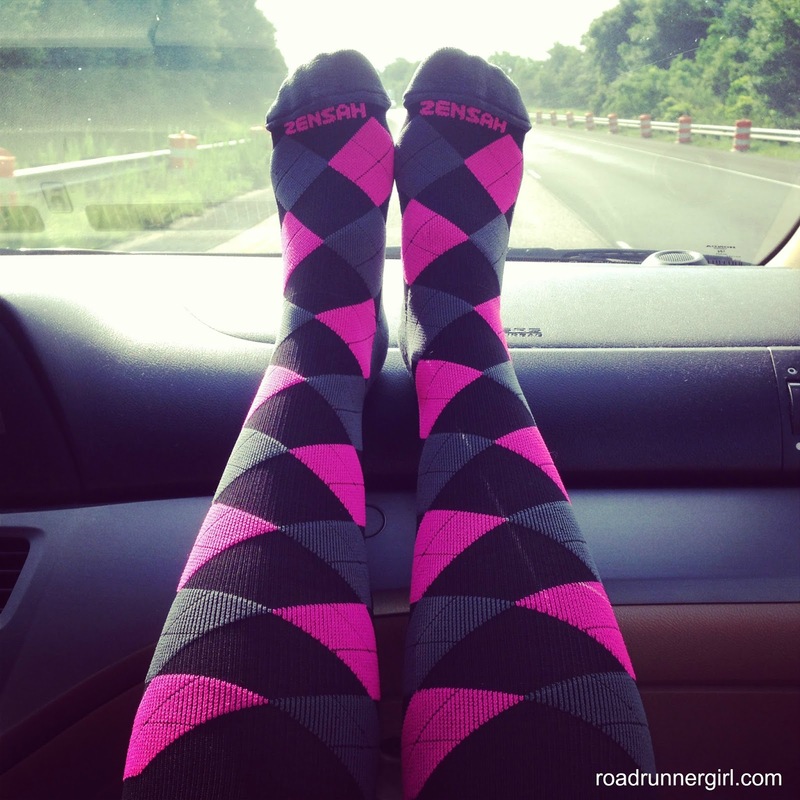 So what makes Zensah Compression Socks so special? I love that their name comes from the word "SENZA" meaning "without." They believe their athletes should be "without limits." Zensah® was the first to develop high performance sports apparel. We use the finest yarns which provide the most performance, but don't give up comfort. For those of you who have experienced chafing with the other brands you know what we are talking about. All of our products are created with state of the art computers and Italian machinery. There is no child labor in our factories. We let the computers and the machines do all the precision engineering. Zensah® seamless technology is cutting edge and very different than what you will find in the big box sports stores. Zensah® provides athletes with the most comfortable experience. I will say that I have worn these compression socks so much lately! I haven't yet run in them because it's been way too hot for that but I know this winter they will be perfect! The recovery aspect is amazing! Any little ache or pain I feel in my legs goes away once I wear these for a little while. Because I love these socks so much I contacted them to see if they would be willing to offer a giveaway to my readers...because you MUST try these! They were very happy to offer a giveaway for not one, not two, but THREE winners! 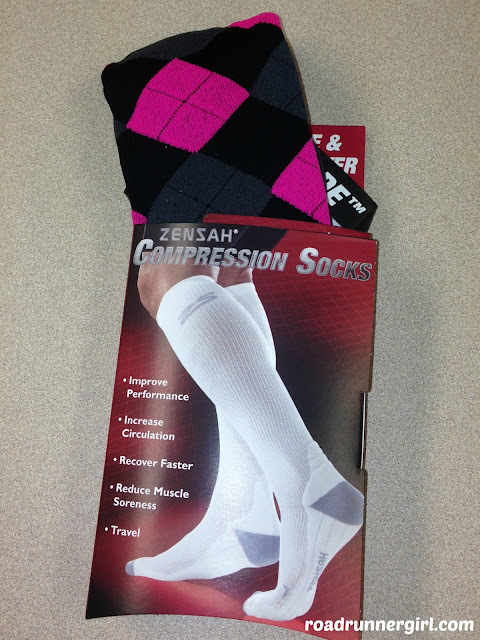 Each winner will receive a pair of Zensah Compression Socks of their choosing! Enter below for your chance to win (please follow all the guidelines...I will be checking)! Good luck!! !